Country - Hungary - Established in 2013. - Copyright: © All rights reserved. 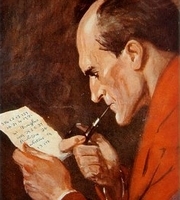 Sherlock Holmes - a gift for the world from a philantropic and polymath artist. 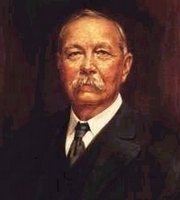 he was known as "The Illustrator's Illustrator"
Seeing the Sherlock Holmes illustration made by Frank Wiles, Sir Arthur Conan Doyle said the following: "This comes nearest to my conception of what he really looks like". Title: Then he stood before the fire. 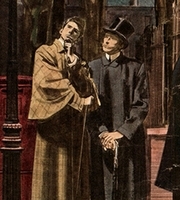 Paget was the first illustrator to draw Sherlock. To many Basil Rathbone remains the iconic image of the great detective. 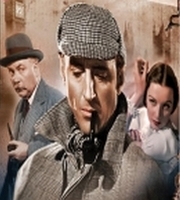 He made 14 Sherlock films between 1939 and 1946. His wonderful Watson was Nigel Bruce. 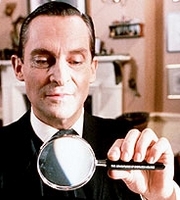 Jeremy Brett's Holmes portrayal remains very popular, and is often accepted as the definitive on-screen version of Sherlock Holmes. The Granada Television films were shot between 1984 and 1994. Jeremy appeared in 41 episodes alongside David Burke and Edward Hardwicke as Dr. Watson. Target: We do hope that we delight Sherlockians, Holmesians and Sherlockology fans. We would like to deal with the Great Detective in a deeper and more comprehensive way. Our aim is to show the phenomenon of Holmes as detailed as possible with its numerous respects, and we would like to show the effects this character exerted on many aspects of life and arts. Sherlock has lots of cultural virtues - it is a feature of his we really love. We try to set a high standard with our articles. My name is Zsófia Marincsák, I was born in 1979, and I live in a small town in the eastern part of Hungary. I graduated as agricultural engineer and English translator. I was 12 when I first read the Holmes stories, this was followed by the fantastic Granada series, which is my favourite, and my opinion is that Jeremy Brett is the truest Sherlock. 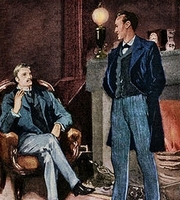 I also like the BBC series and the adaptation of The Hound of the Baskervilles starring Richard Roxburgh and Ian Hart. 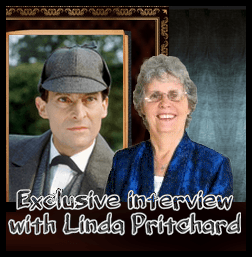 I am responsible for keeping contact in English with different Sherlock Holmes societies and I translate articles for both versions of our site. The Victorian era is very close to my heart, I love its mood and style. My favourite pastime is reading and cross stitching and I like gardening. My other interests are: animal and environment protection, Buddhism, organic farming, fine art (artists I like the most are Mucha, Magritte, van Gogh, Renoir, Toulouse-Lautrec, Gauguin, Munch, Kahlo, Monet, Vermeer, Bosch and Klimt). I am fond of animals: dogs, horses, wolves, butterflies, etc. My name is Adrienn Fray. ( Adrienn just like Rocky Balboa's wife: Adrian. Fray means sibling, "bud" in spanish language. ) I was born in November 1980. 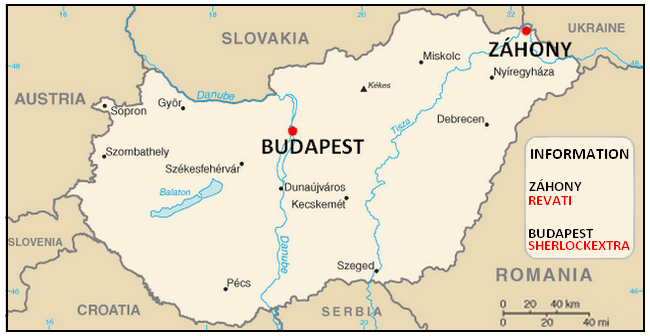 I live in Budapest, the capital of a small country in the heart of Europe. My favourite hobbies are homepage making, listening to music and reading. I am a happy woman and love all the wonders Sherlock Holmes represents. 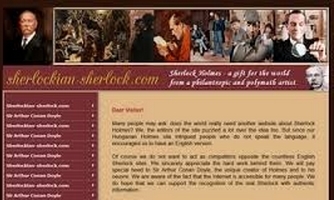 The Hungarian Sherlock site was my idea, while this, the English version is a real teamwork. I'm very lucky, because I found a wonderful editor, who is amazing woman. the image of our website is on the wall.